Why The Hell Do EcoBoost Ford Mustangs Keep Losing Power? Testing shows that new ‘Stangs are getting slower and no one knows why. There has been a troubling pattern emerging on the test tracks at Motor Trend in regards to the new Ford Mustang, and it has nothing to do with the car’s tendency to crash when leaving Cars & Coffee events. The outlet says that the Ford Mustang EcoBoost, which features a 2.3-liter turbocharged four-banger and makes 310 horsepower, is getting slower with time. 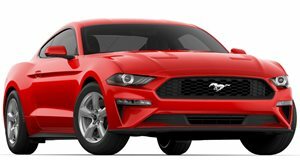 The claim comes via a recent report issued by MT that it has found discrepancies with each new four-cylinder Mustang. It showed that 0-60 mph and quarter-mile acceleration times are getting longer with each subsequent 'Stang that it tests. Of course the science behind a perfect launch is a complicated one, but Motor Trend’s in-depth analysis could not find out what was causing the Mustang to take additional time to get up to speed. In the first test, a 2015 Mustang with an automatic transmission and Ford’s Performance Package saw a 0-60 run of 5.6-seconds. Then, Motor Trend’s sister publication Automobile tested another 2015 model, except with a manual transmission and available Performance Package. Its time rose to 6.0-seconds. Then, a 2016 model with the same specifications later did the same run in 6.3 seconds. The latest run raised plenty of eyebrows because, well, you’d want answers too if your pride and joy was losing power. Motor Trend did mention that it was tough to get a perfect launch, but in all tests the proper 91-octane gas needed for the high pressures inside the engine was used and temperature variations were either irrelevant or accounted for. The same goes for the hardware changes between the Performance Package and regular Mustangs. At first, Ford gave MT the runaround until it published its findings. As a result, Ford has now said that it would look into the matter to see what exactly is causing the Mustang to slow down. Hopefully a few runs on the dyno will provide more insight so that Ford and its fans can get to the bottom of this.